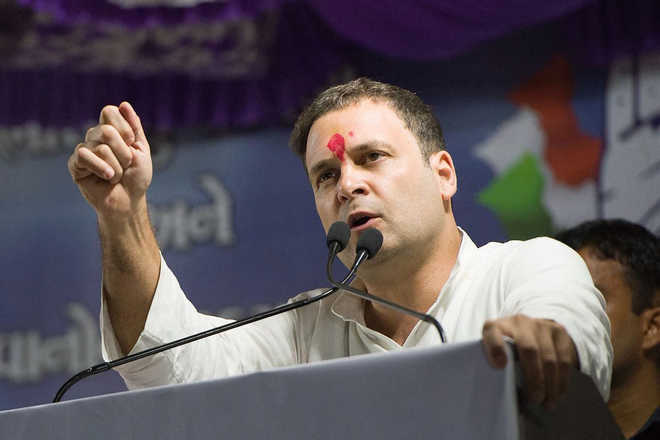 Congress president Rahul Gandhi on Saturday asked Prime Minister Narendra Modi what kind of Hindu he is as he “does not understand” the foundation of Hinduism, prompting a strong retort from senior BJP leaders. “What is the essence of Hinduism? What does the Gita say? That knowledge is with everybody… knowledge is all around you. Every living being has knowledge,” he said at an interactive session in Udaipur in Rajasthan. “Our Prime Minister says he is a Hindu, but he doesn’t understand (the) foundation of Hinduism. What kind of a Hindu is he,” the Congress chief went on to say. Hitting back, BJP president Amit Shah said, “The Congress is now preaching us about Hinduism… They are giving us lessons of Gita.” External Affairs Minister Sushma Swaraj also reacted sharply saying she wishes the day won’t come when people have to learn the meaning of Hinduism from Gandhi. “The Congress claimed that Rahul Gandhi is a Hindu who wears a Brahminical thread, but I did not know he is so rich in knowledge that now he will teach us the meaning of Hinduism. I wish the day won’t come when we have to learn meaning of being a Hindu from Gandhi,” she told reporters here.